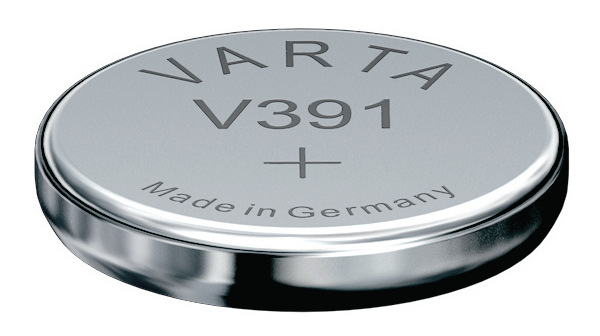 SG8S, V391, 130, 533, 553, LR55, GP391, 1120, 1121 Silver Oxide Button Cell 1.55V High Capacity. Typically for watches & calculators and miniature equipment 11.6 X 2.1mm. Equivalent to V391, 130, 533, 553, G8, 609, SR55, AR55, LR55, GP391, SR1120, SR1121, AG8, V36. Mainly used for Mens' & Larger Watches.